Joe Jonas still can't believe how quickly his ex-girlfriend, Gigi Hadid, moved on with her new man Zayn Malik after their breakup. The 26-year-old singer dated the 20-year-old supermodel for five months until they called it quits in November, and it took her just weeks to become romantically involved with pop star Zayn. Joe admits from time to time he reflects on his failed romance with Gigi and he wonders why she fell into another's arms so soon after they split. “I think it’s interesting that she moved on so quickly; I mean it was definitely very quick," he tells U.K. newspaper The Mirror. Other people frequently compare the former Jonas Brothers star to “Pillowtalk” singer Zayn—a slip-up he finds hilarious. 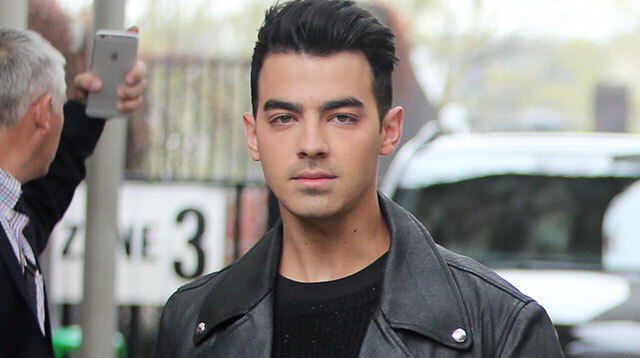 In addition to his past fling with Gigi, Joe has also enjoyed high-profile romances with the likes of Demi Lovato, Taylor Swift, and Ashley Greene. However, he isn't very motivated by love at the moment, as creating new songs for his forthcoming debut album with band DNCE is the musician's priority. “I’m just focused on the band now and what I’m doing with the music," he declares. If Joe has any resentment towards his ex-girlfriend, fans are likely to be hearing about them in lyrical form soon, as he teased devotees about the subject of a song he's writing with his group, revealing many fans might believe it is centered around his doomed romance with Gigi. "As of right now, you'll definitely know who it's about (when you hear the song)," he told Entertainment Tonight. "But sometimes you have to sugarcoat it so it's not so obvious."